At CHINAPLAS 2013, Sumitomo (SHI) Demag Plastics Machinery GmbH and its Chinese subsidiary Demag Plastics Machinery (Ningbo) Co. Ltd. will be displaying its extremely versatile hydraulic machine series, Systec C.
The fully controlled, hydraulic all-purpose machine series, Systec C, replaced the former Dragon series last year, and is available with 12 sizes and a comprehensive range of modules in the closing force range from 500-10,000kN. 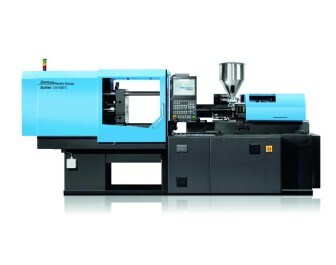 A hydraulic Systec 120-430 C with 1,200kN closing force will be on the Demag Plastics Machinery stand, producing components for an atomizer pump made from polypropylene (PP). The 48-cavity hot channel mold from KEBO AG, Switzerland, requires high precision and performance from the Systec C with its 10s cycle time. SHI notes that the servo pump drive from Yuken offers high performance with low energy use. Improved insulation for the heating bands on the cylinder jacket also reduces thermal radiation from the plasticization unit.